Two days ago I got an email inviting me to a special preview of Paper Magazine’s Super (Duper) Market. 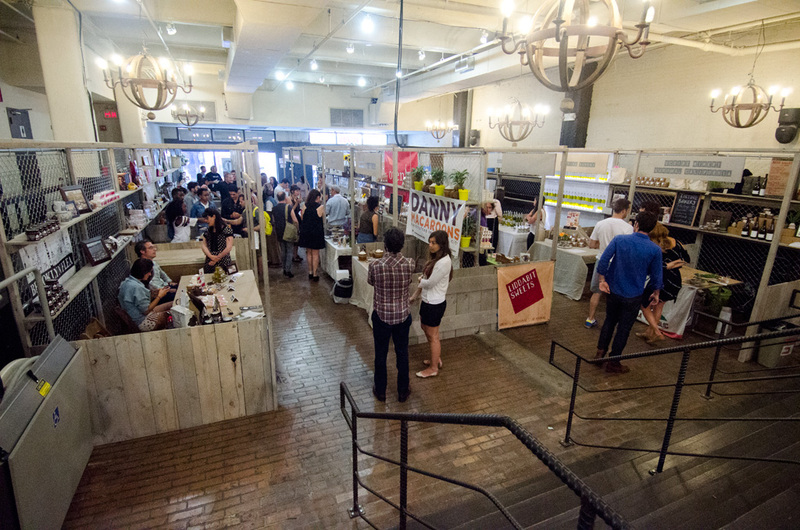 Starting today, 7/13/2012, and running through Sunday, the Market brings together several artisan food makers from New York and beyond. One of the great strengths of the Super (Duper) Market is that it brings in many vendors that don’t usually come to food events, like the restaurant Brucie, who was sampling some of their excellent homemade mozzarella. Also significant is the fact they brought in some West Coast vendors, like Humphry Slocombe Ice Cream. I finally got to try their Secret Breakfast flavor — bourbon with cornflakes. Also delicious: the red velvet danish from Red Rooster in Harlem; the enormous sno-ball from Imperial Woodpecker; sour cherry saltwater taffy from Salty Road; spicy food from Taste of Ethiopia; and strawberry basil pie from First Prize Pies.